This Friday, November 11 is Veterans Day. Let's thank our country and the men and women who have fought to keep us free. We're excited about offering ways you can remember and honor our veterans. Please read below and click here for more information. Always remember the fact that we live in the land of the free because of the brave -our veterans! Here's a great way to honor the veterans in your life: Operation Honor Heroes. It is a national effort to give tribute where tribute is due. Military families can send in pictures of their relatives who have served (both past and present). We will post the pictures online with the name, rank, and branch. That way, thousands of Americans will have the opportunity to thank our heroes! Thank You, Veterans!Click here to see our tribute to veterans page. 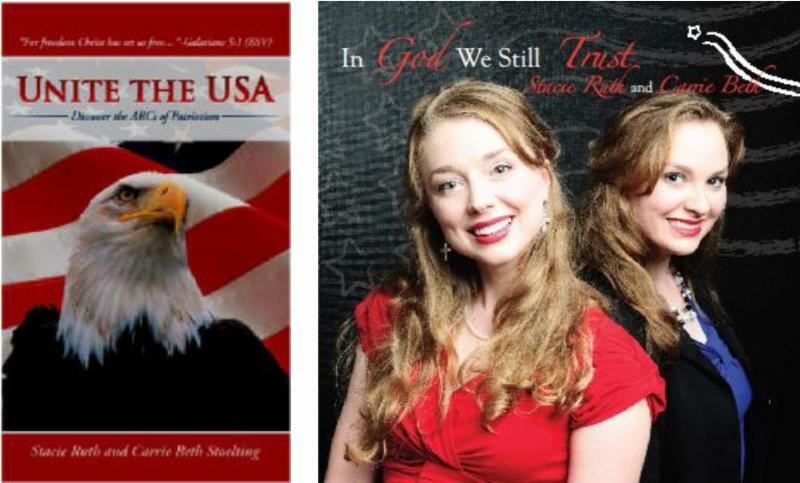 Buy a copy of our book Unite the USA and get a copy of our CD In God We Still Trust for free. Hurry, this exclusive offer ends on Veterans Day! All proceeds go to our outreach. Thank you for your support!